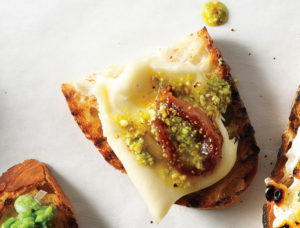 Smear room-temperature Robiola cheese onto warm toasts. Top with halved figs. Drizzle with pistachio oil.